The Custom Fields module allows you to assign any value to custom fields previously defined in the Custom Fields Settings module. Simply type a value in the field. The value is automatically saved. When typing your value, an auto-suggest window will appear. The auto-suggest will show you the previously used values for that field, and will help you keep your data clean by avoiding duplicates. 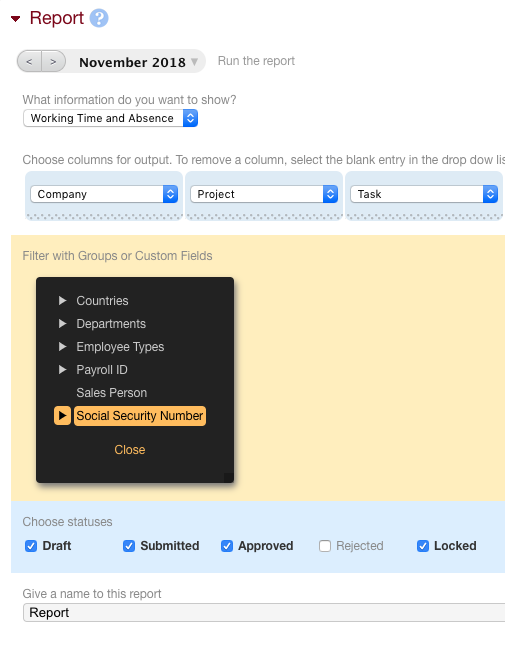 Custom fields can be used in your reports via the Reports module or the Chart & Table module. All custom fields can be added as a new column in any of your report tables. Follow the instructions in the Reports module documentation, add a new column, and pick the custom field you need. The custom field will now appear as a new column in your report. Custom fields can also be used as filters in reports. Just access the parameters of the report by clicking on "Change this report" and go to the filters area. Again, please refer to the Report module documentation to read more about filters in reports.